You are currently browsing the articles from AskTheClubmaker.com matching the topic Specs. What is the hosel size of TaylorMade Burner LCG irons? August 31st, 2014. Read more articles on Specs. Hi, I recently weighed my new set of Callaway X2 Hot Pros fitted with C Taper Regular shafts and Tour Velvet grips which were custom built by Callaway. Assuming a 7 gram progression in head weight, I can’t believe the differences in the weights of the assembled clubs even allowing for tolerances of components: 4 iron 412 gram, 5 iron 416 gram, 6 iron 425 gram, 7 iron 428 gram, 8 iron 434 gram, 9 iron 441 gram, PW 444 gram. Any comments would be appreciated. Regards. As with any production clubs, there will be tolerances. If exact weights were not specified, what you have is not all that unusual. August 4th, 2014. Read more articles on Specs. Will a .370″ tip diameter True Temper ladies flex multi step lite shaft fit in in the Ping I20 irons? The Pings are .355″; it will not fit. July 22nd, 2014. Read more articles on Specs. What size tip is the Titleist 503 driving iron/hybrid? The tip size is .370″. Hi, do you know the specs for the Tommy Armour Silver Scot forged blades? Thanks! 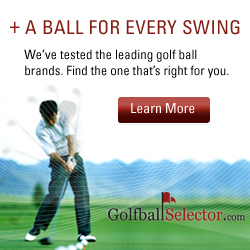 Check out GolfClubSpec.com. If they are anywhere, that’s where they’d be. July 19th, 2014. Read more articles on Specs.